REDWOOD CITY, Calif. -- A pedestrian was struck and killed by a Caltrain Wednesday morning in Redwood City, according to Caltrain officials. The incident occurred at about 6:15 a.m. at Whipple Avenue and involved northbound Caltrain No. 305. Caltrain officials initially said the collision occurred at about 6:40 a.m. 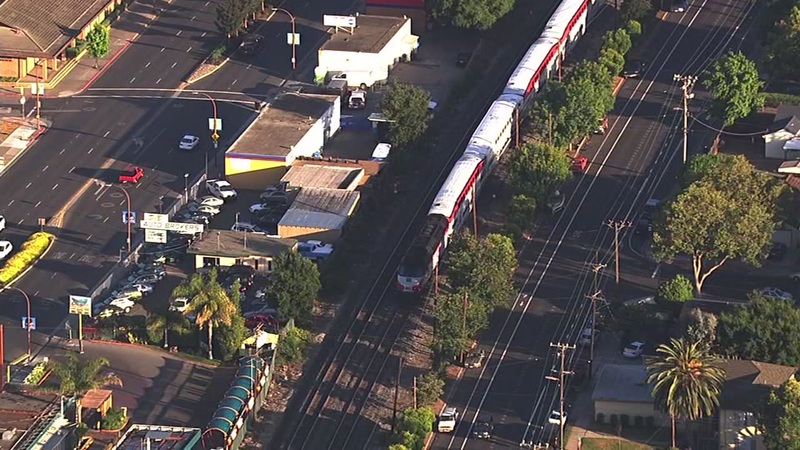 The incident initially prompted the stopping of trains in both directions, but trains began single-tracking through the area as of shortly before 7:30 a.m. and tracks opened in both directions as of 8 a.m., according to Caltrain. Caltrain officials had said the incident caused delays of 60 to 90 minutes for riders. SamTrans provided bus shuttles between the Redwood City, San Carlos and Belmont stations until the tracks reopened. No information about the pedestrian who died was immediately available.